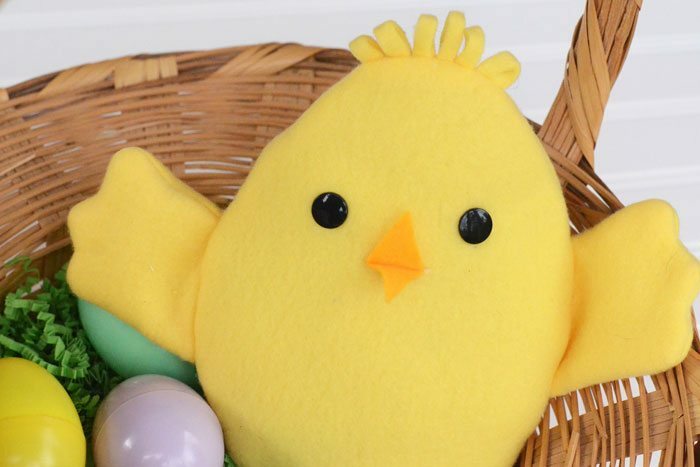 Reversible Softie: It's an Easter Chick - Great Easter Basket Idea! 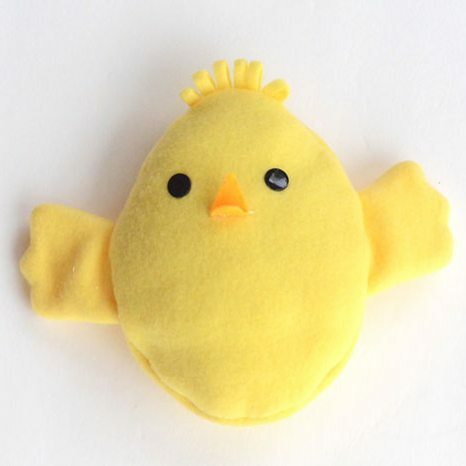 This adorable Easter chick reversible softie is the perfect surprise for a baby or kiddo in your life! Snuggly AND adorable! When I was a kid, one of my favorite dolls was a reversible Little Red Riding Hood doll. Held one way, it was Little Red Riding Hood, but turn her upside down and flip the skirt, and she was the grandmother. Flip the grandmother’s hat over and the doll became the wolf! I wasn’t captivated so much by the fairy tale as the doll that could be three characters. 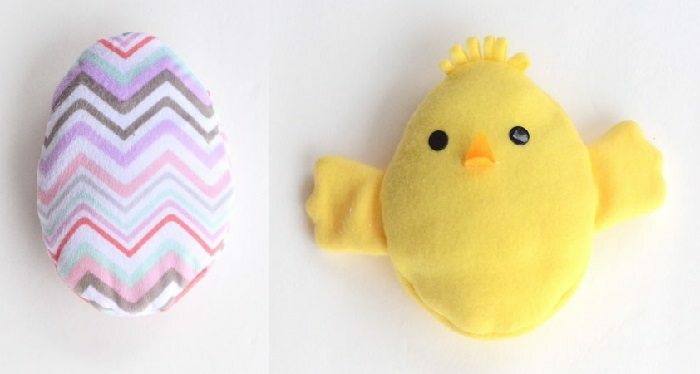 Remembering how magic I thought a reversible softie was, I thought it would be fun to make a reversible softie for Easter. Keep reading for the tutorial and free pattern! 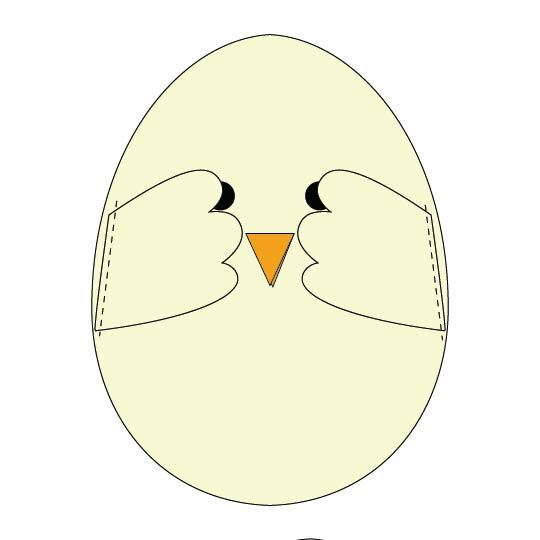 One side is an Easter egg, but reverse it through the envelope closure in the back and it becomes an Easter chick, with a felt beak and sweet little chickie wings! 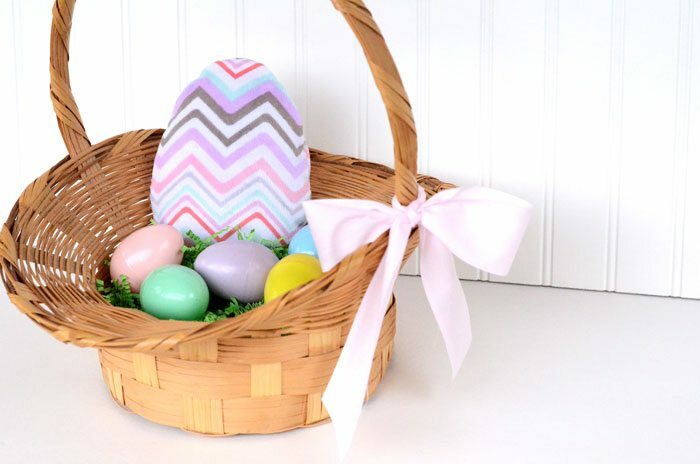 The large fleece egg would be so cute sitting in a child’s Easter basket, and imagine their surprise when they find out that it’s also a sweet little chick! 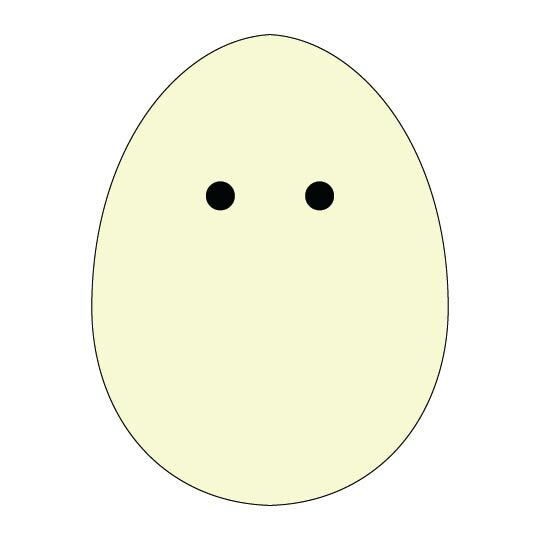 You might even find yourself asking -Which came first, the chickie or the egg? My first attempts at the egg part of the reversible softie used a solid fleece that I embellished with ribbons. It was cute enough until I stuffed the softie, and then the ribbons acted like little girdles across the fleece egg and made it look sad and lumpy. My final version of the reversible softie skipped the ribbon embellishment and just used a printed fleece. It saved me some time and there were no lumpy edges! A little bit about the colors of the pattern pieces in the diagrams below: Gray indicates the right side of the patterned fleece. Yellow indicates the right side of the yellow fleece. White indicates the wrong side of the patterned and yellow fleece. Place the two top back pieces right sides together. 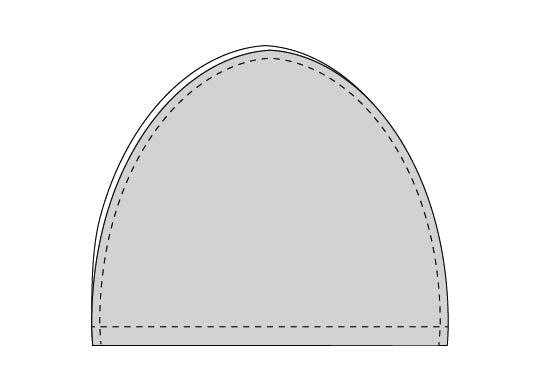 Sew along straight edge with 1/2” seam allowances. Top stitch 3/8” from sewn edge. 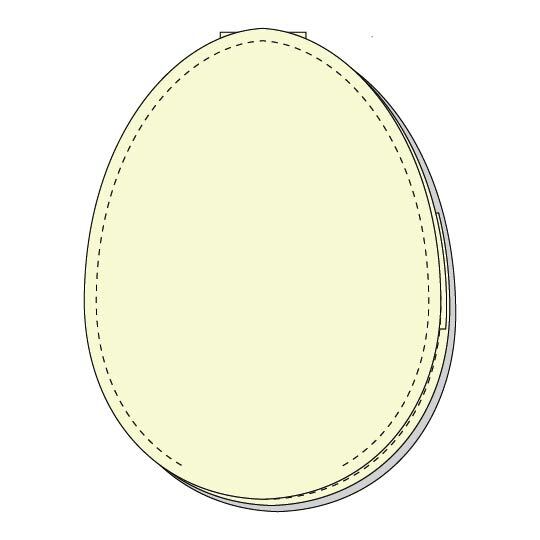 Baste the layers together around curved edges with ¼” seam allowance. Repeat these steps for the two bottom back pieces. 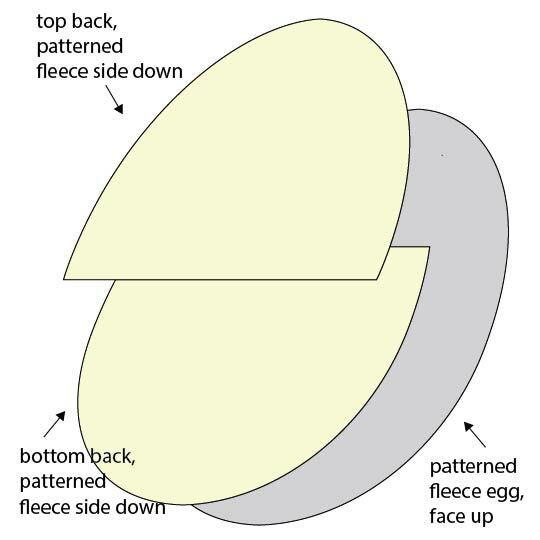 Place the egg front (patterned fleece) face up. Then, place the top back piece on it, patterned fleece side down. Then place the bottom back piece on top of that, patterned fleece side down. The top and bottom back pieces will overlap in the middle. 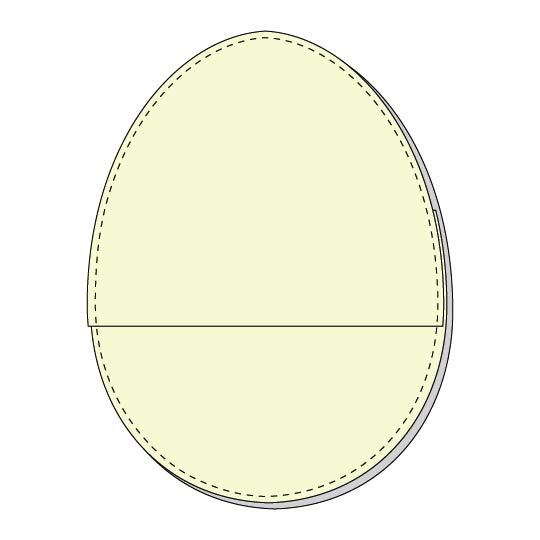 Baste the layers together around the outside with a ¼” seam allowance. 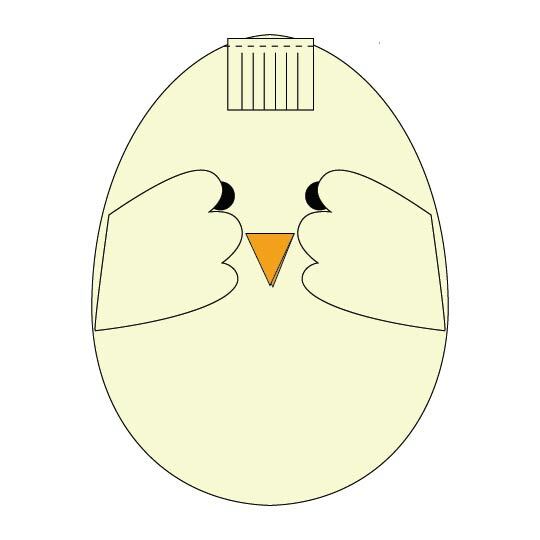 Place the beak on the chick front where indicated on the placement guide. Stitch a horizontal line across the middle of the beak to attach it to the fleece. 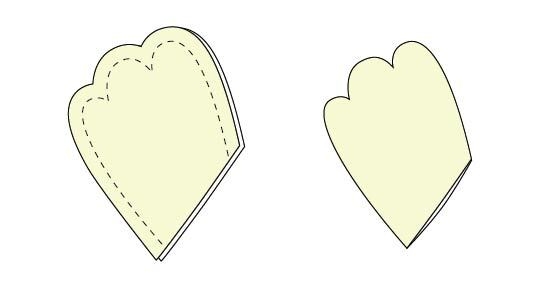 Fold the beak in half at the stitch line, at the same time folding the fleece to the back to get it out of the way. Stitch across the beak again close to where it is attached to the fleece. 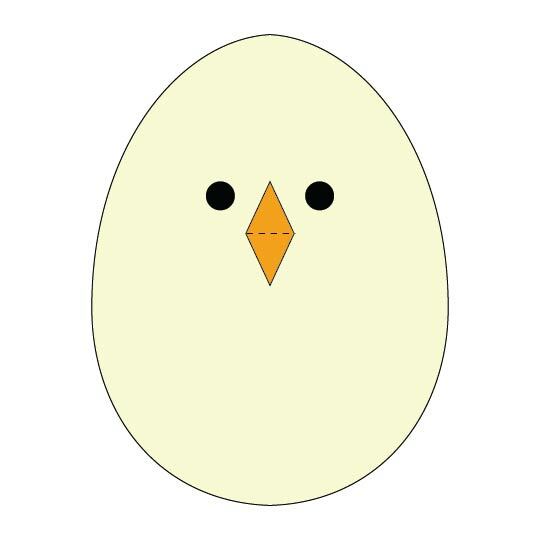 This will give the beak dimension so it doesn’t lay flat on the chick’s face. Place two of the wing pieces right sides together. 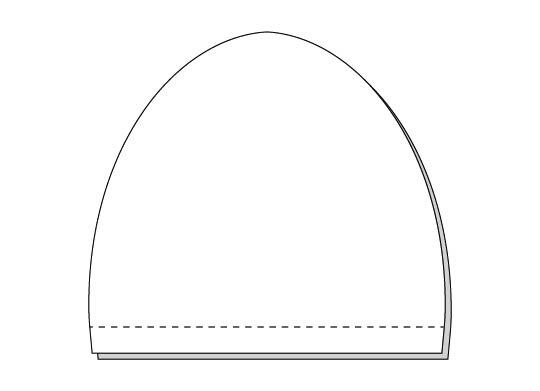 Stitch around the curved edges with ¼” seam allowance. Clip curves and turn right side out. Repeat with the remaining two wing pieces. 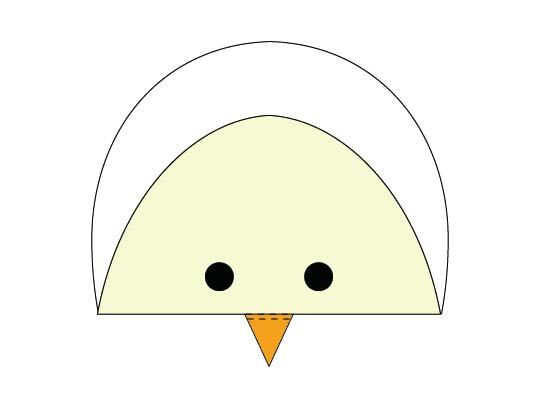 Place the wing pieces on the chick front where indicated by the placement guide. Baste in place with ¼” seam allowance. 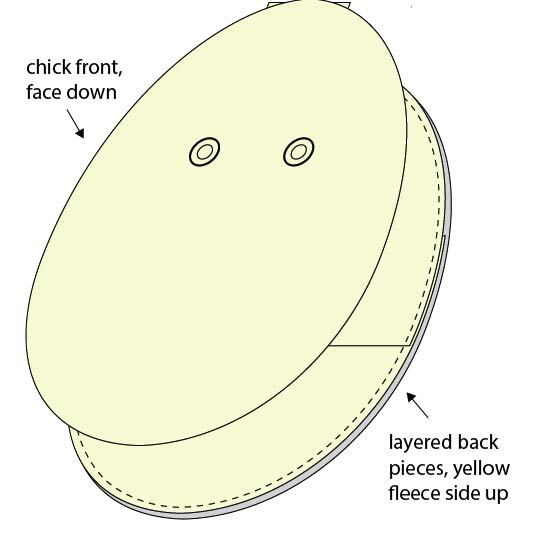 Baste the Hair raw edges together across the top of the chick front (yellow fleece) with a ¼” seam allowance. Stitch around the outside with a ½” seam allowance, leaving 2 ½” inches open at the bottom. Trim the seam allowances and clip curves, being careful not to clip all the way through the stitch line. Stuff the reversible softie. Keep in mind that you’ll be reversing part of the cover back and forth over the softie body, so don’t stuff it as full as you would other softies. Close the hole using a ladder stitch. Spring!!! Yay! And yes, I know you can crank out a Bear in a Bunny Suit. It is one of the least fussy softie knits ever. Plusadorability off the charts. Oh my goodness… this is absolutely adorable! Cute! My daughter would love this chick softie. Visiting from BFF party.